Last year we introduced you to ACS Publications’ Manuscript Transfer Service, a service by which you can transfer your article submission to a new journal based on suggestions made by our editors. This service helps you find the best home for your research and streamlines the submission process. Over the last few months, we have made further improvements to this process. With the introduction of ACS Omega to our journal portfolio, you have even more options to find the best fit for your research. When you enter your submission information into ACS Paragon Plus, you will be asked whether or not you would like to make your submission eligible for transfer, including an option for ACS Omega. 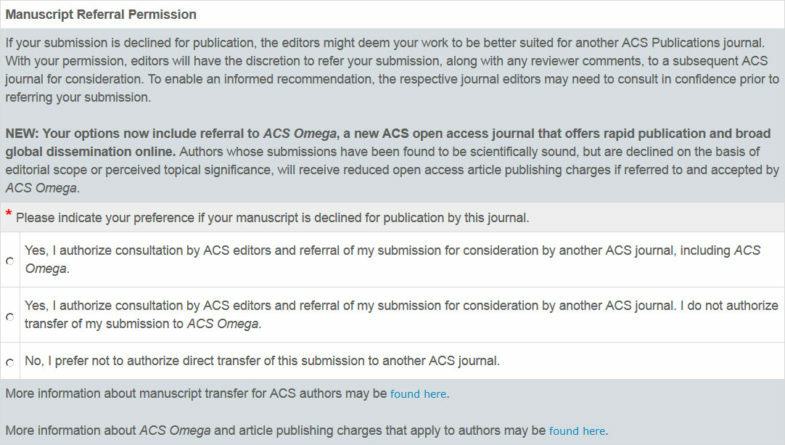 We encourage all authors to say “YES!” to ACS Omega, our newest multidisciplinary open access journal (now accepting papers!). 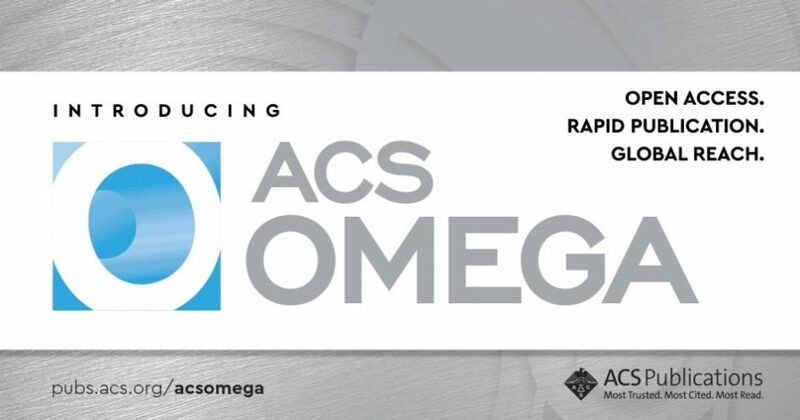 With a commitment to rapid publication and global reach, ACS Omega will publish original peer-reviewed research articles from all areas of the chemical sciences. By opting into transfer eligibility with ACS Omega, your work has a better chance of reaching an international audience that extends beyond the traditional scope. Librarian Life: What’s So Mega About ACS Omega?